1. Find a spot in your home that has lots of nice natural light. This is typically next to a window like you see below. This is in my family room and as you can see it is nice and bright. You can also go outside under a covered porch or patio. I do want to point out that it is best to have light that is indirect or diffused like this, rather than harsh direct light shining right on your layout. In the image below you can see an area on the carpet where the light is not diffused by the blinds at all. It is super bright and the light is really harsh. These are areas you want to avoid. I just make sure to not place my layout in that part of the light. It is also best to photograph your layouts during the day when you have nice light like this so you don't have to use your flash. If you do it at night with your flash, your layouts will look more flat and less 3-dimensional and you also may get some bad shadows. 2. Find something to use as a background for your layout. Like I said, I prefer a clean solid white background that doesn't distract from my layouts. There are a few different things I use based on the size of my layout or project. The first one is the inside of a shallow box/lid. This was the box that one of my 12x12 Making Memories albums came in. It is slightly bigger than 12x12 so it fits my one-page layouts perfectly and it is white! perfect! 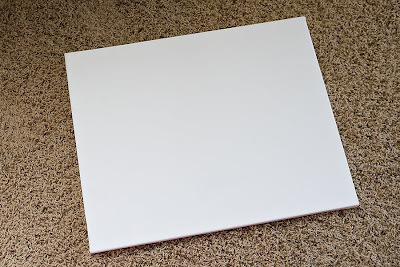 Another thing I often use is this white artist's canvas that I got at the craft store. It is 16x20 in size and is easy to store and also gives me a nice clean white background. The last thing I use (that I don't have pictured) is a larger white foam board from the office supply store. It is pretty big and so it works well for 2 page layouts or larger projects. I only pull it out when I have to simply because it is bigger and bulkier. 3. Next you will want to simply place your layout on your background. In this case I am using the shallow box that I showed earlier. You can see that I simply lay the layout in the box on the ground and I make sure that it is in an area that doesn't have that bright harsh sunlight. Now there is a lot of nice natural diffused light shining in on my layout. 4. To photograph the layout I stand directly above it and I get in close enough (either physically or with your zoom on your lens) so that you are filling the frame with your background and layout. I always leave about an inch or 2 of the white background on the top and bottom like this so that I have a small white border when I crop the image. It just so happens that this box works perfectly, but if I were using the canvas or the foam board, I would position myself the same way. I would go ahead and cut off some of the canvas/foam board and just leave an inch or two on top and bottom like this. 5. After photographing the layout I upload it to my computer and I crop it down so that I just have a small white border around all 4 edges. When taking the picture I try to make sure that the layout is straight but if it is off a little, I can adjust that when cropping as well. If you photograph the layout in some nice natural daylight like I did, you shouldn't have any color casts or white balance issues. When photographing your layouts at night, they may come out a lot warmer in color than they really are. This is another reason why it is best to do it in the day. Of course you can always adjust the color balance in photoshop if you need to but I try to keep it as simple as possible and avoid any extra unnecessary steps. 6. It can also be nice to take a close up shot if you have some interesting embellishments or complicated techniques on your layout. 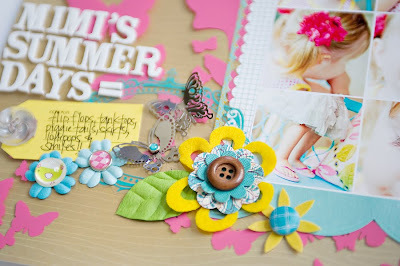 Or you may want to take a close up to show the journaling in better detail. 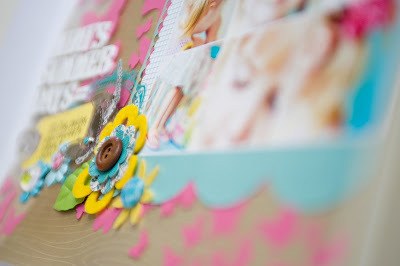 For example, in my layout above you can see that there is a lot going on in the title/journaling area but it is a little hard to see the actual embellishments. I wanted to show the big flower in a little more detail and I also wanted to show those amazing laser cut metal butterflies by MM that I love. Now, we all know that I love to vary the angle that I photograph my subjects from and I also love to shoot with wide apertures to get a nice blurry background.... but in this case it is not very effective. You can see below that when I shot the layout from an extreme angle and with a really wide aperture, there is so much blur in the foreground and background that you can't really see the details very well at all. It might look like a cool shot but it kind of defeats the purpose right? 3-D dimension like this but not from such an extreme angle as I did above. Also, you want to keep your aperture more narrow so that you don't end up blurring out most of the layout like I did before. The shot below is much more effective in showing all of the details and giving you a glimpse of what the page is about. You can see that a bit of the image is blurred (toward the top) but not so blurry that you can't even read it. For those of you with SLR's that are shooting in manual or aperture priority and want to know about the settings that I use, I used an aperture of f/5.6 for the shots of the whole layout and then a bit wider aperture (around 4) for the last shot. The "bad" close up example that shows too much blur was shot at f/2.8. 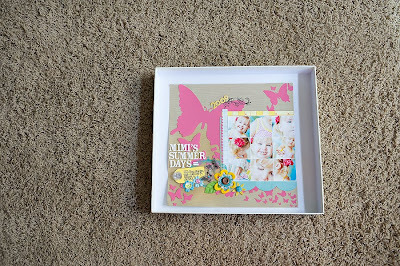 That wraps up the "photographing your scrapbook layouts" tutorial. I hope this helps! If you have any questions or need more explanation on anything, please feel free to email me or leave a comment below and I will check back to answer you. Yeah Maggie, I've been hoping for a post like this! Thank you so much for taking the time to share all of the steps. Thanks for the tips! Off to find a white box right now!! thanks for sharing!! i ve just take photos of one of mine before reading this post and ask me how to make a better photo because my layout's photos are often too much blur and not so bright!!! i just have to find something white!! TFS, Maggie! 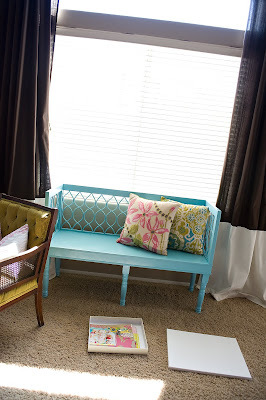 I am totally going to try this next time I take a pic of a project! Thank you for providing all these tips. Nice job! Thanks Maggie, great tutorial! 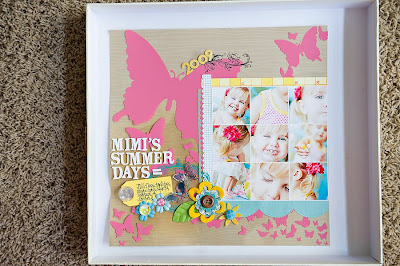 I have been doing this ever since you talked about it in your workshop and love the results! Thanks for the tips - I used an album box to photograph my latest layout and it worked really well! Thank you so much! It's really helpful!! awesome tip, I always struggle in taking pictures of the layouts. Thank you for posting this! I've been using a black background, which looks nice, but can be a little too dark. I believe now I will switch to white! YOu are so awesome !!! THANKS!!! The lid is genius! 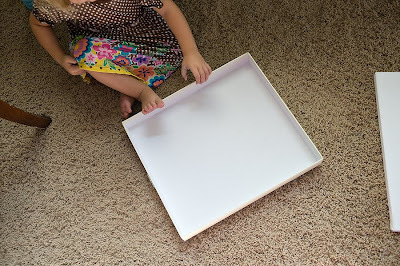 I usually use the white canvas as well, but now I need to find a lid!! Thank you so much for the tips! I am going to try this! Great tutorial. I can't wait to try it out! Hi Maggie.. are you using a macro lens to shoot this. Photo Tutorial: Add a Little Pop! CKC Classes by some SC gals!!! !